Since the mortgage meltdown of a few years ago the mortgage industry has come under greater scrutiny, with settlements and promises to clean up fraudulent practices. But amid indications that major lenders have reformed and mortgage applications are picking up again due to low rates and continuing availability of cheap houses in some markets, the relationship between bond rates and mortgage interest rates raises questions about lenders’ gains on the mortgages they service. The virtually unprecedented current low rates are well known. It’s a good time to invest, buy a home, or refinance existing properties because, it’s said, rates will only go up. But because the Federal Reserve continues to buy up mortgage-backed securities at an astounding rate of billions of dollars per month, many expect rates to stay artificially low. On the other hand, these securities are backed by US Treasury bonds, whose performance in the global market also affects rates, and changes on that level can also affect whether mortgage rates start to swing upward. But according to a 2012 DealBook article, there’s another facto that may play a role in determining not just where mortgage rates are currently holding in the market, but also what rate a bank or other lender actually offers a borrower applying for the loan. Most major lenders, including banks and the government backed Fannie Mae and Freddie Mac, don’t hold mortgages for long. 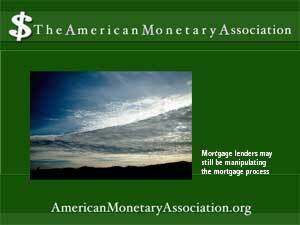 Those mortgages are sold into the bond market, which ensures a government-backed guarantee of repayment. The difference between the bond and mortgage rates represents the lender’s profit on the transaction – the bigger the “spread” between the two, the larger the gain for the lender. Until recently, that spread has remained relatively steady – around 0.75 percentage points over the past five years or so. But since the end of 2011, the spread has widened significantly, averaging 1.4 percentage points. That’s because bond yields have fallen farther than the mortgage rates banks are charging borrowers. This means that banks and other lenders may not be passing on those low bond market rates to borrowers. Instead, they’re taking a bigger cut and increasing the size of their own gains on the transaction. Explanations for this range from the benign to the deliberately manipulative, citing increased demand for mortgages because of low rates and a recovering housing market, or a deliberate strategy on the part of lenders to increase profits on mortgage lending.